A multiperson treadle-powered alternator that can be used for village lighting, cell phone charging or mechanical power to drive many kinds of machines (like ours!). 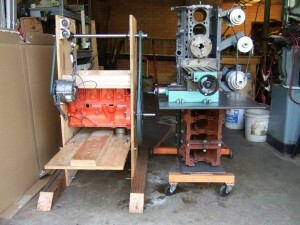 “Project Genny” is a village-level lighting system that combines a multi-person treadle drive with an automobile alternator used as a generator. This human-powered system has already been built and tested, and would let let people in environments ranging from small settlements to Third World urban slums generate electricity for LED lighting and cell phone charging. The “Genny” can also provide mechanical power for pumping water and processing grain. Genny can easily be built and maintained by semi-skilled mechanics and carpenters employing only commonly available hand tools. Construction is straightforward, requiring only automobile scrap and a small amount of wood as raw material. 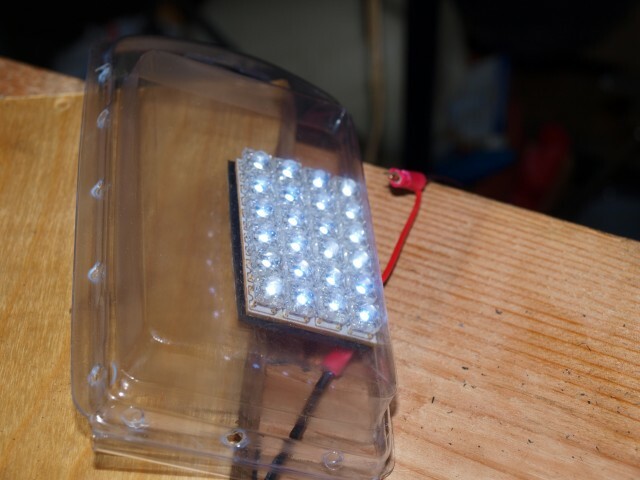 For the lighting end of the system, we have also developed and tested a one-dollar, 24-LED light source based on an automobile map light accessory that can be bought cheaply in bulk. The light’s original packaging even makes a good lighting fixture! Project Genny’s technology derives from the MultiMachine, an accurate, all-purpose machine tool built from used engine parts and steel bar and featured at Maker Faire Africa in 2009. Background info on using an automotive alternator as a generator is available here. A brief intro to building a treadle-powered generator can be found on pages 59-61 of the Concrete Lathe construction guide.